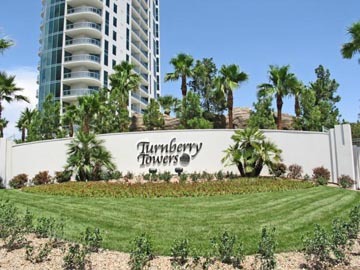 Turnberry Towers is located just off of the famed Las Vegas Strip at Paradise Road and Karen Avenue. 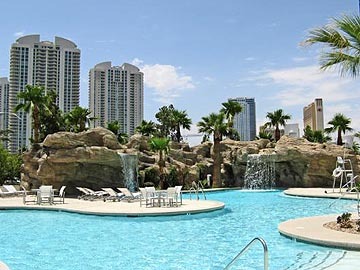 It consists of 636 one, two and three bedroom condominium units in two forty-five story towers. 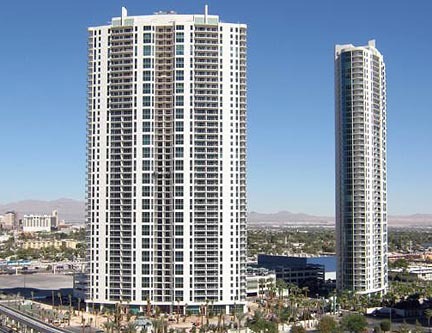 All residences offer stunning views of the Las Vegas valley. 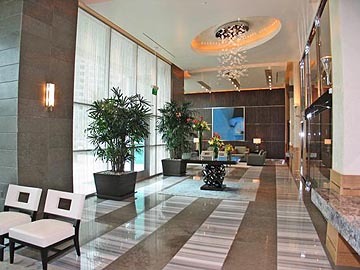 Turnberry Towers is located very close to the prestigious and successful Turnberry Place and Sterling Club. 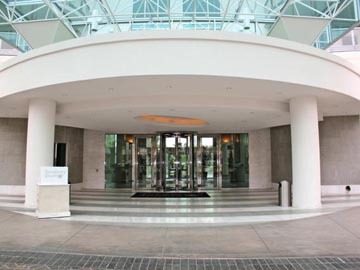 The development is private and secure with a gatehouse, tennis, elaborate pools, fitness center, putting greens and much more. 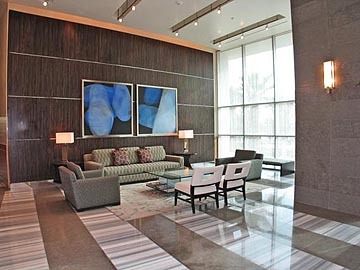 Each residence features imported Snaidero cabinetry, granite countertops and G.E. Monogram appliances. Bathrooms offer imported Italian marble and Jacuzzi whirlpool tubs. 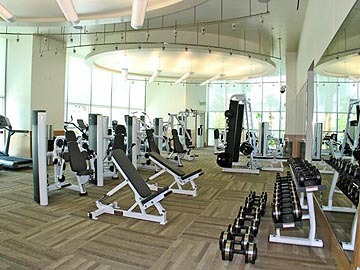 The terraces are large and spacious with expansive views of the Las Vegas valley.